The Conservative Party have opened candidate selection unusually early, it has been reported, in order to ensure that as many candidates are in place in the likely event of an early General Election either in the autumn or in 2018. On Wednesday CCHQ Head of Candidates Gareth Fox is said to have emailed previous candidates asking them to re-apply for selection by as soon as July 10th. Perhaps CCHQ and Theresa May know something we don’t? It looks increasingly likely from the move that the Conservatives are worried that their deal (or no deal, depending on who you ask at a given hour) with the DUP won’t last very long, or that when a new leader is installed they will go to the polls to regain their majority. Either way it shows some foresight – and one that Labour would do well to match. We were caught out with the announcement of the snap General Election, and despite having time to organise selection procedures for candidates (after all, this does happen in every by-election, albeit with an NEC-approved shortlist to choose from), the NEC simply imposed candidates on all CLPs. This ‘exceptional selection procedure’ will clearly benefit whoever is in control of the NEC, and in particular its Officers, at any given time. While several Corbyn-supporting candidates did make it through and are now Labour MPs, this tends to have been the case in CLPs where the candidate did not expect to win (Canterbury, for example, or Kensington), and in a majority of seats where a retiring MP stood down, the NEC imposed a candidate selected by the party’s right. Given the membership is clearly to the left, and supports Corbyn now more than perhaps ever before, we are being disenfranchised in our selection procedures. There is a simple way to avoid this problem next time. We know it is very likely that there will be an election at some point in 2018, if not before then. We have an existing procedure for selecting candidates, namely by a ballot of all eligible CLP members. The NEC should therefore announce that candidate selections will be taking place early, possibly as early as this autumn after conference, and allow CLPs to hold a full selection procedure for their parliamentary candidate. If, by some miracle, this government clings on beyond 2018 and looks to be surviving, and a selected parliamentary candidate no longer wishes to contest an election in 2022, then they could simply withdraw their nomination and the CLP could hold a selection again. We know an election is coming. The procedure is simple. It is now a choice between giving members a say in who our candidates (and therefore our MPs) will be, or denying those members’ voices in order to strengthen the hand of whoever is in control of the NEC at a given time. Here here. It was inexcuseable that Labour did not have a procedure in place to allow members to select candidates in the event of a snap election. We must not allow it to happen again. In the turbulence that a left-Labour government would no doubt experience, it will be important to have as many solidly left-wing MPs as possible. Because that is why the Cons got more votes than Labour, the Labour candidates were not left-wing enough. If we had had more candidates supporting Jeremy then we would be in GOVERNMENT now no doubt about that. This is correct. The problem was the PLP effectively destroyed the party in their attempt to get JC out against the memberships will. This caused us to start 20 points down. Now they have decided to get back on board and stop doing the Tories work for them we should win next time around. We do need to get our asses in gear though. Our ignorant 5th form Tory Troll is back ! What a joke you are, Johnson Expected to be able to crow about a circa 100 seat Tory majority didn’t you. But in fact the Tories are hanging on for now only with the very uncertain “support” of the UDP, what historically originated as the political wing of the Northern Irish Protestant paramilitaries ! Yes need selection meetings before the next election, in this one not one candidate for Labour democratically chosen by members. According to the Shwawkbox excellent website take the example of the 2 Wirral seats. Activists, councillors and money it is claimed were directed to the Right Wing Labour Progress candidate with already a large majority (and Labour councillors in Wirral were told NOT to help in the other marginal Labour seat where the candidate was Pro-Corbyn. Result swing to Labour in Progress seat with all the resources 3.6% swing to Labour from Con in the Pro-JC seat with less resources nearly 6% swing to Lab from Con! Left wing democratic socialists should have the chance to democratically select Left Wing Democratic socialist Labour candidates! Let us talk about selection of candidates and close down the argument of ‘deselection’ Every CLP is entitled to choose candidates The existing MP might be good but if the CLP think another would be better then that’s the right thing to do. “Every CLP is entitled to choose candidates The existing MP might be good but if the CLP think another would be better then that’s the right thing to do”. I am sure it is not a well established principle that every CLP is entitled to…. On the country my perception is an innate entitled distrust of CLP by ‘supra – CLP’ committees, organisations and units. A more well established factor is the Labour Party potential fear of its local memberships. After all some memberships at a local level may have the audacity not go along with the ‘common wisdom’ and this is seen as threat to the way things have always (or perhaps more recently) been done. This is compounded by the reinforced arrogance by whole class of individuals like Neil Kinnock who see themselves as a sort of working class sage who knows and sees all that us lesser morals don’t get. A big challenge for Labour Left is how to bring about radical change in the Labour Party by bringing CLPs along together to be prepared to take the risks involved. 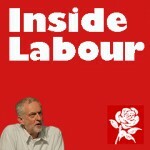 For example despite commitments to a radical programme, can we confidently say that CLPs in paces like Nottingham East (Chris Leslie); one of the Brighton’s (Peer Kyle); Exeter (Ben Bradshaw); Barrow (John Woodcock), would really have the courage to risk loosing to them standing as independent Labour if they chose others. The challenge we face is that CLPs have behaved more like children for so long that maybe they lack confidence without CLPD do anything else. Corbyn and others within the leadership must insist on a democratic procedure for the selection of PPCs. The Blairites will want to defy democratic reform and ride on the back of Corbyn’s popularity in order to remain on the gravy train. There should be no compromise. Democracy must prevail – sooner rather than later. Every constituency with a Labour MP should – at some point before the next election whenever that is – have a trigger ballot, and an opportunity to open up the selection process. The NEC had little alternative this time around, but we should demand that they put procedures in place swiftly to ensure that all members (subject to freeze dates etc) are properly consulted over selection of parliamentary candidates before all future elections. How do we put pressure on the NEC to set the time table and let us get on with selecting a candidate?